Hanni El Khatib stirs up the Casbah on Thursday night with fuzzy garage blues. If you used to live and skate in San Francisco, there's a chance you shared some curbs with the artist whose two latest albums were produced by the Black Keys' Dan Auerbach. Hanni El Khatib, a SF native, met the Keys frontman in a bar in Paris and bonded over whiskey and obscure L.A. bands -- now we've got "Moonlight," El Khatib's January-released third record that brews garage scratch and blues prickly enough to make your ears fuzzy. Catch him at the Casbah on Thursday, Feb. 5 -- because he's good, because he does the sexiest cover of "You Rascal You" ever recorded, because next time he comes to town, no doubt it'll be to play a larger venue to a sold-out-ages-ago crowd. El Khatib worked as the creative director of skate brand HUF before moving to L.A. to be a part of record label Innovative Leisure. He's not only on their roster of artists -- which reps greats like the Allah-Las and Nick Waterhouse -- but also part owner and art director. The guy has something effortless about him -- not that he doesn't "try," per se, but that once his music is out there, he doesn't keep dissecting it. Which is good, because that'd pretty much be like playing with our food, as those sounds -- that music -- is meant to be feasted upon. And come Thursday night, I am straight up gorging. 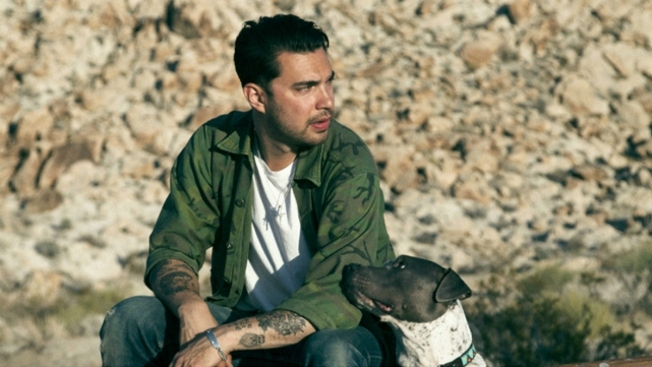 Hanni El Khatib plays the Casbah on Thursday, Feb. 5, at 8:30 p.m., $18, 21+. Shady Francos, the Kabbs open.